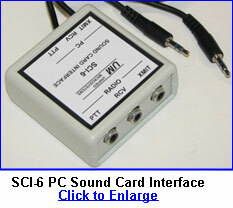 Unified Microsystems: SCI-6 PC Sound Card Interface Kit, and more for ham radio operators! 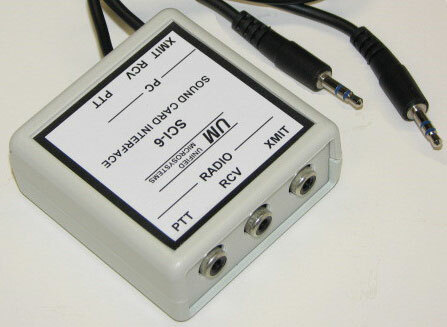 Looking for an affordable PC sound card interface to get you on PSK31, RTTY, WSJT, Echolink and other exciting digital modes? The SCI-6 interface is your ticket to these cutting edge developments. The SCI-6 design incorporates transformer isolation on both transmit and receive audio. Control the transceiver PTT with the built in optically isolated interface circuit. The SCI-6 requires no external power source. 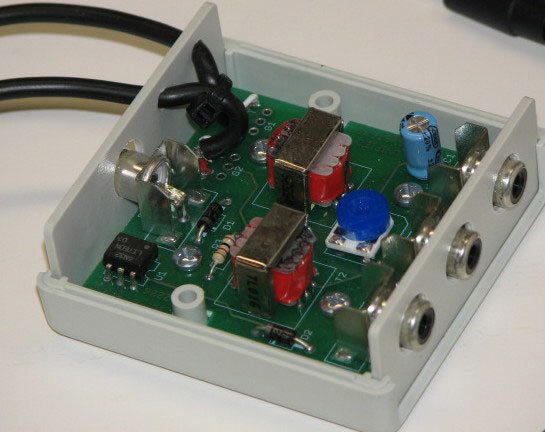 The kit contains a high quality double sided circuit board with solder mask and component legends for easy assembly. Unlike other low cost kits, a machined case is included. The cables to the sound card are included. You supply the cables to your particular radio. RCA phono connectors make it easy for you to customize the remainder of the connections to your radio. The SCI-6 also makes a great club project. Give your members kit building experience as well as an introduction to new modes! Software for many of the digital modes can be downloaded at no cost on the Internet. Need RCA cables to wire the SCI-6 up to your rig? The RC-26 cable set provides two 6' cables with RCA connectors on both ends. Buy one RC-26 set and cut them in half to get four 3' cables to start your wiring. Need longer cables? Buy 2 sets and cut the ends off for four 6' cables. Size: approximately 2.5" X 2.5" X 1"